Discover How Fun And Easy It Is To Play The Blues On Acoustic Guitar, Even If You Haven’t Picked Up That Old 6-String In Years. Now imagine that you heard Clapton’s acoustic version of “Driftin’ Blues” the other day, and you immediately recognized it as the old familiar “Blues in E” rhythm. One after the other, you lay down a series of classic, authentic acoustic blues licks, while Eric (or Muddy… or Big Bill… or Robert) sings along. Now what if I told you that not only can you learn to play the blues, there is a simple, step-by-step method for playing authentic acoustic blues anytime, anywhere, without having to read a note of music, and without having to rely on jam tracks or a backup band. My name is Griff Hamlin and I’ve been fortunate enough to make a career out of playing guitar, but even if it’s not how I made my living, I’d still be sitting at home playing on my old 6 string for my wife and son. Let’s face it… we don’t play because you can, we play because we have to. TAB sites and YouTube are user-generated content. There is no guarantee whatsoever that the person who posted that TAB or made that video knows the song or can play any better than you. Don’t assume that just because you downloaded a TAB that it’s correct. In fact, assume that it’s NOT correct! Being able to play guitar requires basic skills and knowledge… things that are very difficult to get from doing nothing but learning songs. Now of course, my hair has (mostly) grown back after that, but that frustrating experience of trying to learn an authentic blues song on acoustic guitar let me know one thing… there just isn’t much out there for someone who wants to learn acoustic blues guitar. And that’s why I created Acoustic Blues Guitar Unleashed. This step-by-step, “Playing on the Porch” DVD instruction course contains everything you’ll need to really learn the blues inside and out. These are the exact same lessons that thousands of students, many of them just like you, have used to learn how to play acoustic blues guitar. Discover the freedom you’ll have being able to play acoustic blues guitar anywhere. No more having to plug into an amp just to get a real guitar sound. You will be able to play the blues guitar anywhere from your front porch to the blues jam downtown to the recording studio to the stadium show you’re headlining. How to play acoustic blues guitar using alternate picking, fingerpicking and using a combination of the pick and fingers. One of the most common questions I get is, “should I learn to play with a pick, or with my fingers?” This course will teach you how to use all the different types of picking and you will learn how to choose which style works for every scenario. You’ll learn all the notes on your acoustic guitar, along with the proven system I use to commit them to memory. Most chords are built on the 5th and 6th strings of the acoustic guitar, but with this method you will be able to find those chords all along the fretboard. Discover how to count and feel all the common note subdivisions and rest. We’ll cover whole notes, half notes, quarter notes, eighth notes, triplets, and sixteenth notes. Basic timing and counting for acoustic guitar is essential because there is no one else to keep time for you. Discover advanced timing and counting in 12/8 and eighth note triplets. These two types of counting are probably the most common in all the blues, especially in slow blues. By learning these counting methods, you’re playing will be swinging a whole lot more. You’ll learn how to play acoustic blues guitar in the most popular blues keys: E, A, G and C. Learn how to play the blues chords and the blues scales in all four keys, but I’ll show you how those same scales and chords can actually be moved and used in ANY key you want. You’ll learn how to play some of the most popular blues rhythms. Rhythm is very important for solo acoustic guitar players. You are responsible for your own timing and rhythms without anybody else to rely on. Fortunately, playing solo acoustic blues frees you up to play your own rhythms as you see fit. Discover cool new chord shapes and partial chord shapes that I like to call “little chords.” These are very useful because they stay out of the bass range, freeing up room for your bass lines, and can be inverted and moved easily. You’ll get a logical and methodical system for learning acoustic blues guitar. The book and DVDs are arranged so that you can start right from Lesson 1, page 1, and go through to the end. Every lesson builds on the lessons before it. You can go at your own pace, and you’ll know you are making progress as you master each lesson. Discover how to keep the bass going when you play solo acoustic blues guitar. Playing solo, as in by yourself with no accompaniment, poses some challenges for guitar players. We have to keep time (meaning the bass part), keep the harmony up (meaning chords), and keep the melody up (meaning the highest single notes). All these challenges are addressed in Acoustic Blues Guitar Unleashed. In addition to my song examples, you’ll learn some classic bluesy, solo acoustic guitar songs including “The House of the Rising Sun,” “Nobody Knows You When You’re Down and Out,” “Amazing Grace,” “Deep River Blues,” and “St. Louis Blues.” You’ll not only learn how to play some of the most recognizable acoustic guitar songs, you’ll be able to apply all the lessons you have learned to make them sound even more bluesy. Upon placing your order using our secure server, Acoustic Blues Guitar Unleashed will be immediately available in a secure member area. You can stream it, or download it, and it will always be available to you 24 hours a day, 7 days a week. The videos are in MP4 and WMV format (for both mac and pc users) while the audio examples are MP3 and the manual is PDF. Or if you prefer, you can have it shipped to your door on 9 DVDs. The accompanying play-along examples are on 2 CDs, and there is also a large (140 pages) printed and bound manual. All of the examples are in TAB and standard notation in the printed manual. All of the videos feature onscreen TAB so you can actually watch where you should be in the music as the song is played. After watching each lesson (as many times as you want)… jump over to the corresponding audio (every lesson is labeled in the manual) and it’s as if I’m in the room with you playing along. And with the manual, you’ll never miss a note. Every chord shape and every note is painstakingly transcribed and triple checked for accuracy. Lesson 1: This lesson is straightforward tuning notes so we can play together and sound the same. I do tune standard throughout most of the course so if you prefer to use some sort of electronic tuner, that’s no problem at all. Lesson 2: This lesson covers picking techniques. You will learn how to use a pick, how to use your fingers, and how to alternate between the two techniques. Plus, you will learn when to use each technique in a song. Lesson 3: Here we learn about the note names on your acoustic guitar. Most beginning guitarists will only learn the note names on the 5th and 6th strings of the guitar, since most chords are built on those strings, but with this lesson you will learn a proven technique to memorize all the note names up and down the fretboard. Lesson 4: Here we talk about basic timing and counting. As a solo acoustic guitar player, this is one of the most important lessons to learn since you are responsible for keeping time with out the assistance of a band or another player. You will learn some simple practice methods to make your timing solid. Lesson 5: This lesson builds on the last lesson, basic timing and counting, and introduces more advanced timing and counting in 12/8 and eighth note triplets. 12/8 and eighth note triplets are some of the most common time structures in the blues; especially slow blues. Lesson 6: In this lesson, we talk about the primary blues chords in the key of E. E is a very popular blues key on guitar because it allows us to take advantage of some open strings and we can get the maximum range out of the instrument. Lesson 7: This lesson continues in the key of E, and explains the “Blues in E” rhythm. This is one of the most common rhythm figures in the blues that gets used instead of just playing open E7, A7, and B7 chords. Lesson 8: Here we learn about the E minor blues scale. The minor blues scale is responsible for about 95% of all blues licks you hear. This lesson will teach you how to play the minor pentatonic and minor blues scales, and provide a few examples of blues licks using the scales. Lesson 9: In this lesson, we learn about extending the blues and pentatonic scales. You will learn how to play these blues scales past the open position to become more familiar with the scales all along the fretboard. Lesson 10: Here we learn about little chord shapes. These are very useful because they stay out of the bass range and can be inverted and moved easily. These chord shapes are very popular when playing solo acoustic blues guitar. Lesson 11: This lesson teaches a very popular “color chord” in the blues, the 9th chord. 9th chords aren’t really complex, but they can be a little tricky to finger. In the blues, these chords are very popular and add a whole new dynamic to your playing. Lesson 12: Here we explore a very popular trademark of any blues song, the turnaround. 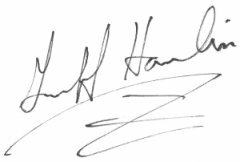 I refer to the turnaround as a “signature” portion of the blues. Every blues guitarist has their own style of turnaround, and can be recognized once you’re familiar with them. In this lesson, I provide a few Robert Johnson turnarounds that I guarantee you will recognize, but now you can play them! Lesson 13: Here’s where we learn how to construct a blues song. The 12 bar blues form is one of the most popular forms in blues songs. You’ll learn where to plug in chords to complete the form and you’ll see a few common variations to the form. With this lesson, you’ll be writing your own blues songs in no time. Lesson 14: In this lesson, you’ll learn your first song example called, “Down To The Station.” This blues song is designed for solo acoustic guitar and will feature everything you have learned so far in Acoustic Blues Guitar Unleashed. Lesson 15: Besides timing and playing chords, a solo acoustic guitar player is also responsible for keeping up a bass line. This lesson teaches the first basic bass line I like to call, “thump bass.” It’s a simple style of playing that will introduce you to playing solo, keeping up the bass part, the chords, and the melody all at the same time. Lesson 16: This lesson takes you one step further with the “thump” bass line. Here you will learn how to play a simple bass line and solo over the top of it. The provided audio recording and music will help you right along as you play your first bass line and solo together. Lesson 17: Here we get some more experience with the blues scale, but this time playing it in box 3. This lesson provides some cool licks for the 3rd box of the minor blues scale. Lesson 18: This lesson provides your second blues song example called, “Rambling All My Days.” This song focuses on licks in the 3rd box of the minor blues scale and gets you some more experience playing solo acoustic guitar! Lesson 20: This lesson moves beyond the key of E and starts in on another popular key in the blues, the key of A. Here we start off with some of the common blues rhythms in the key of A in a complete 12 bar blues form. Lesson 22: I’m convinced that the best way to learn and practice these concepts is to play them in songs that you enjoy. So this lesson provides another song example called, “Mean Old Woman Blues.” There isn’t anything new that is introduced so you’ll have more time to apply the learned concepts in the key of A. Lesson 23: This lesson moves onto two very cool things: the key of G and the 8 bar blues form. I find the key of G is one of my favorite keys to sing in, which may be interesting to you if you are planning on singing over your playing as well. Plus the 8 bar blues form isn’t quite as common as the 12 bar, but it’s a good idea to get this form under your fingers as well. Lesson 24: This lesson moves into the major blues scale. Since we’re now in the key of G, I provide a quick recap of the G minor blues scale and learning the major blues scale in any key as long as you know the minor blues scale. In this lesson, I explain a new concept called the relative major key using the minor blues key. Once you get the concept down, it’s really easy to find all the blues scales all over the fretboard. Lesson 25: This lesson tackles one of the most popular questions I get as a blues guitar teacher, “When do I use the major and minor blues scales?” Here we learn how to use them both in a song and which chords in the blues form to use them with. It’s an awesome lesson that will make your sound that much bluesier! Lesson 26: By now you’ve gotten a pretty good taste for covering the bass line, the chords, and the melody all on your own at the same time. Now it’s time to make it even cooler by playing a walking bass line versus the “thump bass” that you’re used to. This lesson provides a cool jazzy approach to the walking bass line and even gives you a song to start practicing. Lesson 27: This lesson introduces a new situation for the acoustic blues. Up to this point, we’ve talked about playing solo, but what if you decide to jam with a buddy? Here we address that question. I provide you with some ideas to start improvising in the key of E while someone else plays rhythm or vice versa. Here’s one of my favorite tunes from the course, “Mean Old Woman Blues”. Lesson 28: Here we continue with the duo playing introduced in the last lesson, but this time I provide some ideas for playing in the key of A in a traditional 12 bar blues form. Lesson 29: This lesson takes us to the key of G, and introduces some of the major blues scale concepts into the picture for some jazzy sounds in your playing. Lesson 30: Here we take a look again at our bass lines for solo acoustic blues. We’ve had the most practice with the “thump bass,” with some walking bass lines mixed in. Now we are introduced to alternating bass notes. This lesson provides examples of alternating bass notes in all the popular keys, and some of the not-so-popular keys as well. 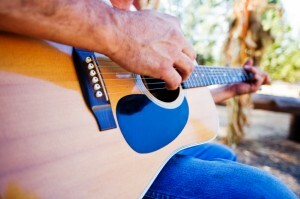 Lesson 31: Here we get into some real-song applications for solo acoustic guitar. We start off with one of the most popular solo acoustic tunes, “House of the Rising Sun.” It’s a standard tune, and you will probably pick it up easily, that relies heavily on picking arpeggios rather than strumming. Lesson 32: Here we are provided with another popular solo acoustic song, “Nobody Knows You When You’re Down And Out.” It isn’t necessarily a “blues” song, but it definitely sounds bluesy and is easily recognizable. This song focuses on strum patterns and chord diagrams, leaving room to fill in the melody with a friend or sing it. Also on this DVD we get into some of the most sophisticated chord sounds and bass movement in this Jazzy G Blues. And by the way, the system you’ll get for creating bass lines on a guitar works just as well (if not better!) on a real bass if you ever find yourself in that position. Lesson 33: The next song is another popular guitar piece, and definitely a recognizable song, “Amazing Grace.” The reason I chose this arrangement is because it features chords and the melody being played as an independent part of the song. This is commonly called a chord melody arrangement. Lesson 34: Now we move onto some actual solo acoustic blues song arrangements. “Deep River Blues,” by Doc Watson is a very popular solo acoustic blues piece, and while there are a lot of different arrangements out there, I modified this one slightly to work best for you. With some practice, you’ll have this tune down in no time. Lesson 35: The last lesson features the longest song in the course, “St. Louis Blues.” There are a few things to look out for in the tune that I go over in detail and get you some experience playing in the key of C. The lessons you learn from this piece alone will enhance your playing quite a bit, so take your time learning this one and it will definitely be a big benefit to your playing. In each lesson I go over every note carefully and completely… often literally spelling out for you which string and fret to put your fingers on for the entire phrase. All of the audio examples contain a slow speed version as well, so that it’s easier for you to get started with each new tune. Now, I’m really not here to try and convince you to invest in Acoustic Blues Guitar Unleashed. Only you can decide for yourself if this is right for you. I’m also not going to tell you that if you buy Acoustic Blues Guitar Unleashed, you’ll be playing like Robert Johnson or Muddy Waters in 2 weeks. That’s just not realistic for anyone. And while I may not make you sound like Muddy in a week, I can and will explain very clearly why he plays the notes that he plays. Armed with that information, you can choose to sound like him or not… but at least it’s up to you. 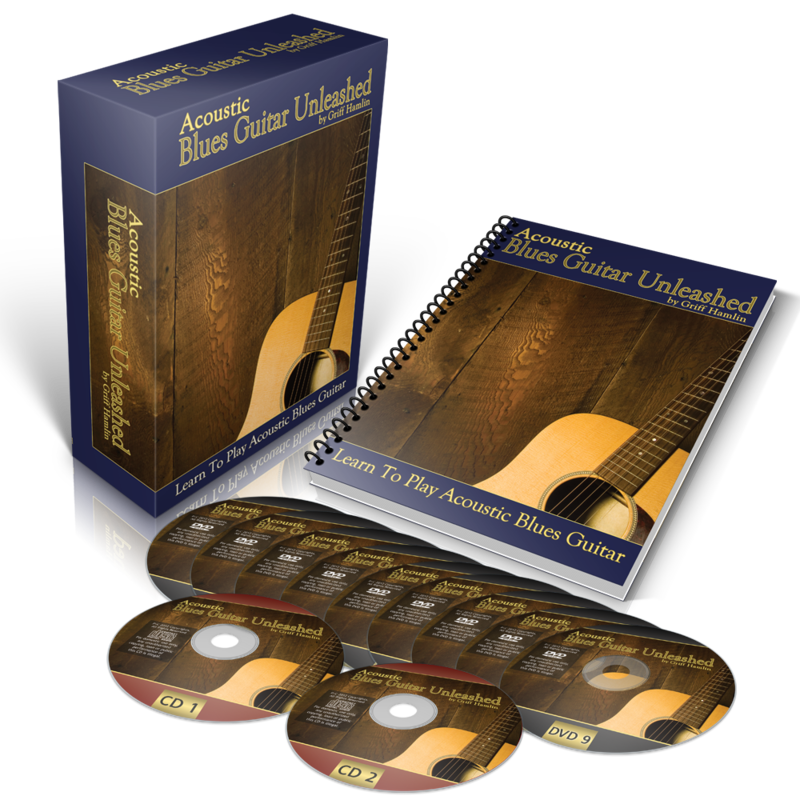 Option 3: Learn authentic, acoustic blues guitar quickly, and for a fraction of the cost of private lessons, with the Acoustic Blues Guitar Unleashed DVD home study course. I challenge you to search the Internet the way I did for a step-by-step method of learning authentic acoustic blues guitar. You’ll see there is nowhere else you can get the quality of instruction found in Acoustic Blues Guitar Unleashed. If you decide to invest in Acoustic Blues Guitar Unleashed today your investment is only $299 $279 $229 $197. But this $197 price for Acoustic Blues Guitar Unleashed is only available while supplies last. You have a full 365 days to “try” Acoustic Blues Guitar Unleashed. 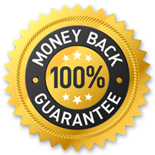 If at any time you are not completely satisfied, simply return the product for a full and prompt refund, no questions asked. There’s no time like the present. If you want to play better blues guitar, you need some guidance to point you in the right direction. 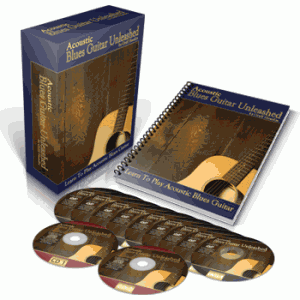 With Acoustic Blues Guitar Unleashed you get step-by-step, easy to follow directions. You simply cannot fail. To get your complete copy of Acoustic Blues Guitar Unleashed just click the yellow “Add To Cart” button below with your preferred delivery method. Just as soon as your order is complete you will receive an email with your access instructions to the secure Member Portal so you can literally be playing some soulful acoustic blues in just a few minutes from now! P.S. – Many of the students who had a hand in the creation of Acoustic Blues Guitar Unleashed were exactly where you are today. 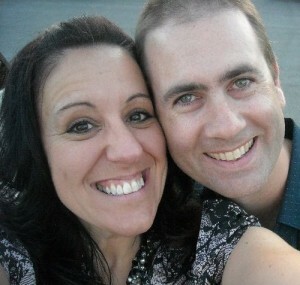 The problems they faced and the information they needed is what drove me to put this all together in one package. You won’t find a more complete guide to learning blues guitar anywhere. P.P.S – This special price of $197 for Acoustic Blues Guitar Unleashed is only available while supplies last. When they are gone, the price very well may be higher.